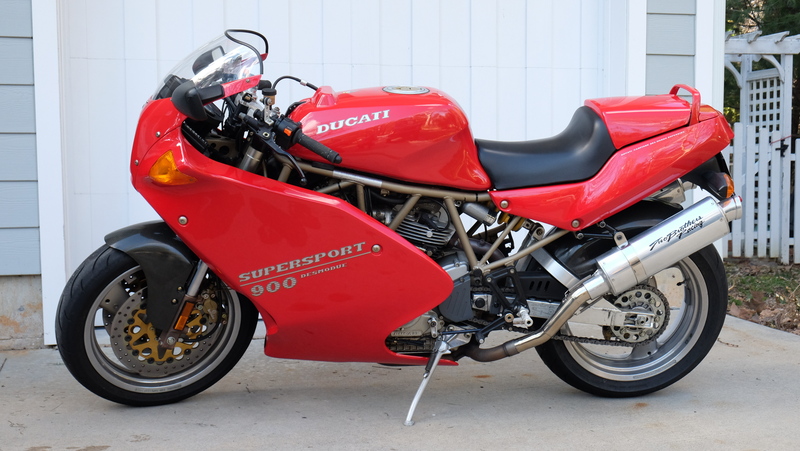 Ducati.ms - The Ultimate Ducati Forum > General Discussion > Welcome and Introduction > Ducati 900SS/SP! Welcome Shawn! Be sure to visit the Supersport section, to help keep your machine in good working order. Plenty of information on this entire site. Sounds great! Can't wait to see pics!! Have been enjoying weekend rides. Told my spouse I was going for 30 min, came back 70 min later. Did not seem like I was gone that long. scott and alliswell like this. scott, WileECoyote and Luftgekult like this. Time (day/hour) is supposed to stop while on said chariot................. the women folk ( or man folk for our female riders out there) are supposed to greet you back as a Roman warrior straight outta battle which lesser fools on lesser foolish motorcycles did NOT survive. Simply because of the merciless beatings they took from said roman warrior. Last edited by WileECoyote; Apr 5th, 2019 at 5:55 pm. Congratulations! A 900SS/SP is a great bike and my favorite bike for long rides and touring. alliswell and Luftgekult like this. campione del mondo ....errr....nah....its a *street* bike, and a great one at that!